How is it already November?! This week, it's all about comfort food. With the chilly weather and the coming holiday season, we can't get enough warm, roasted veggies and easy sheet pan dinners. Not to mention, there's a chocolate adventure calling your name this weekend! 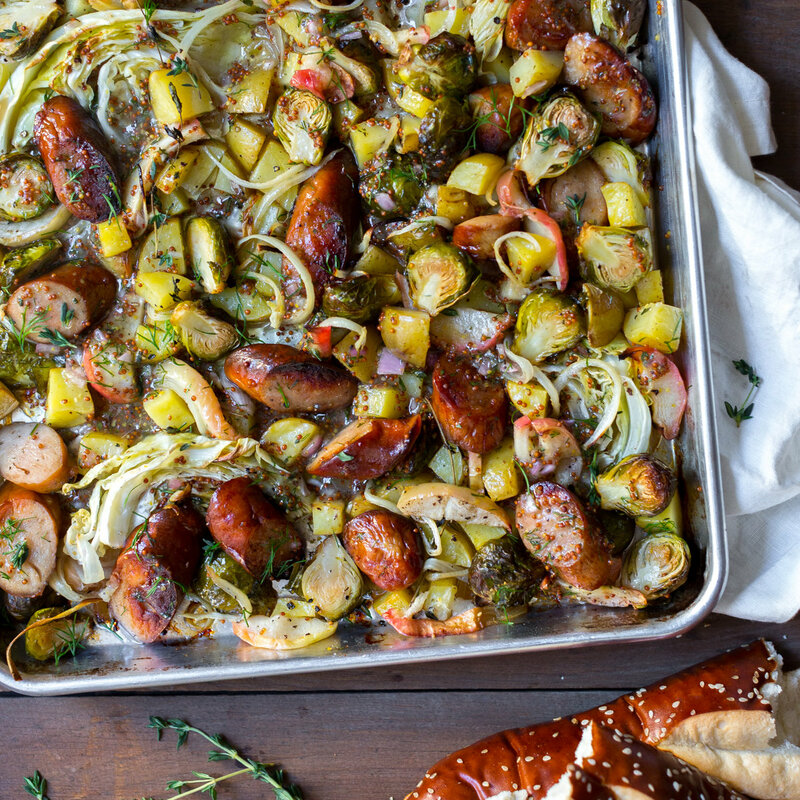 We can't decide if the best part about this dinner is the fact that it all goes down on one sheet pan, or that its flavor is out of this world. Feedfeed Tip A quarter cup of oil might seem a lot for the roasted veggies, but this is how the apples and cabbage are going to caramelize and get that crispy exterior. Sometimes a simple salad dinner is just what you need at the end of a brutal Monday. 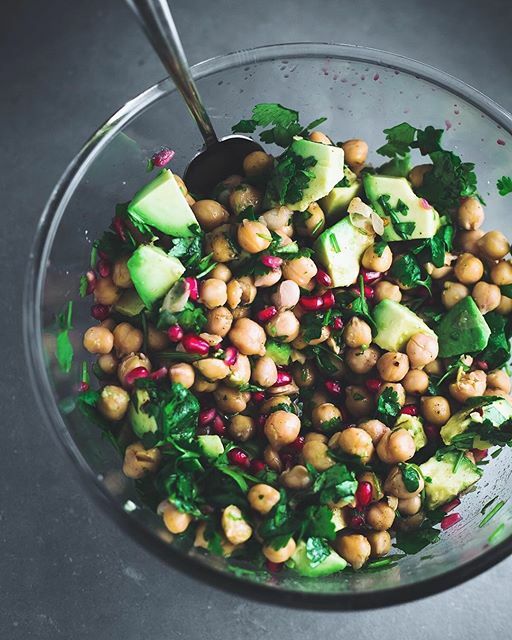 This chickpea number is exactly what you need! When in doubt, crack an egg into it! 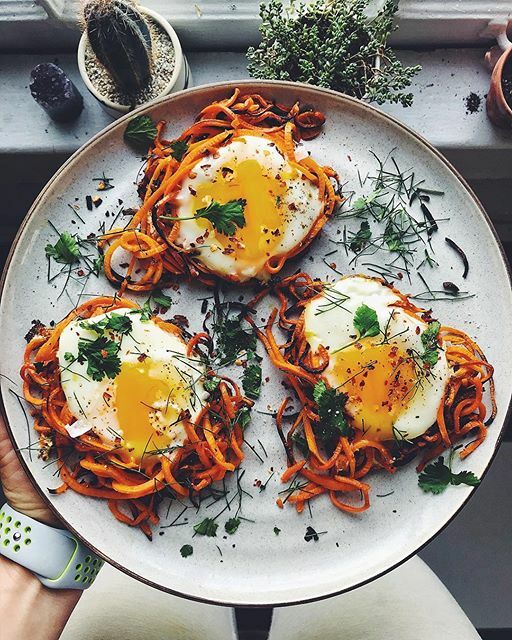 These spiralized nests are a lovely fall dinner. 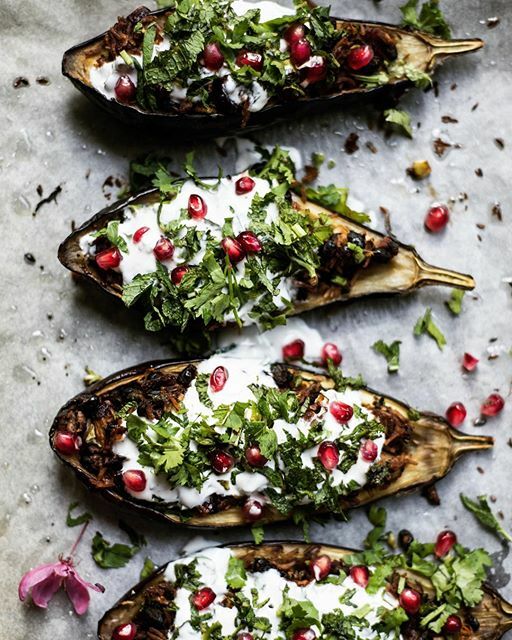 We'll use any excuse to make food boats, and these stuffed eggplants definitely fit the bill. This mint yogurt is about to become your new favorite condiment. 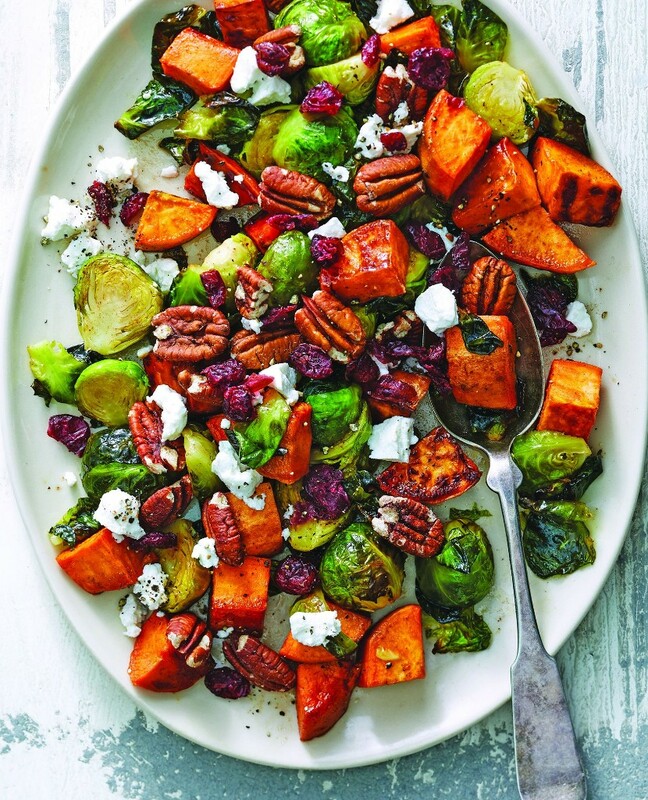 These roasted veggies are comfort on a platter. Serve with roasted chicken or turkey for an added serving of protein. Cobb salads don't get the love and attention that they deserve! 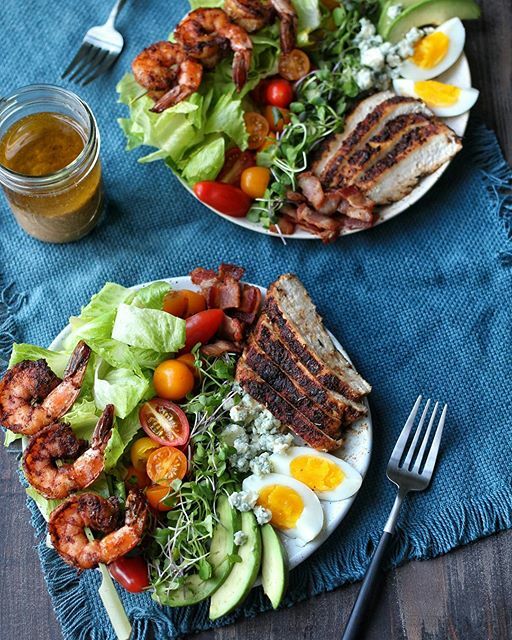 This one is packed with shrimp, blackened chicken, and hard-boiled eggs, so what more could you ask for? Feedfeed Tip If you roasted chicken with last night's veggies, use those leftovers for this salad! 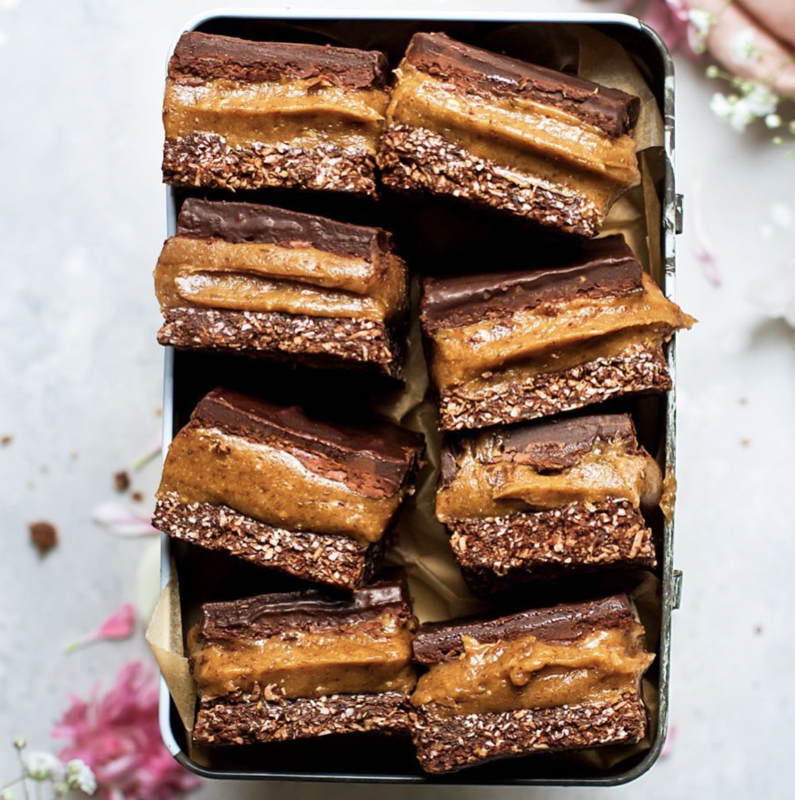 Get ready to SWOON for this layer of decadent caramel. Got a sweet tooth? You're going to be obsessed! Feedfeed Tip Soaking the dates in hot water will help to soften them and release their sweetness.